The Orionid meteors peak in intensity every year towards the end of October, giving stargazers an unforgettable show. The Orionids are the cosmic remnants and orbital debris of the renowned Comet 1P/Halley – Halley’s Comet. Each year throughout October and November, the Earth crosses Halley’s orbit and fragments of the comet light up the night skies as shooting stars. This upcoming weekend, the meteor shower will be at its most intense, producing tens of meteors every hour. Space agency NASA said: The Orionids, which peak during mid-October each year, are considered to be one of the most beautiful showers of the year. When is the Orionid meteor shower 2018 peak? The meteor shower starts to build intensity from around the start of the month and lasts until the first week of October. This year, astronomers expect the Orionids to be most intense between the night of Sunday, October 21, and the morning hours of Monday, October 22. When is the best time to see the Orionid meteor shower 2018? The shower will be visible from both the Northern and Southern Hemisphere after midnight local time. Individual shooting stars should begin to appear overhead from about 10pm BST. The last meteors will likely start to fade out by the time of sunrise. Orionid visibility might be limited this year due to the unfortunate presence of the Waxing Moon near 100 percent illumination. The almost-Full Moon might wash out the skies with its powerful glow, making it hard to spot the meteors. 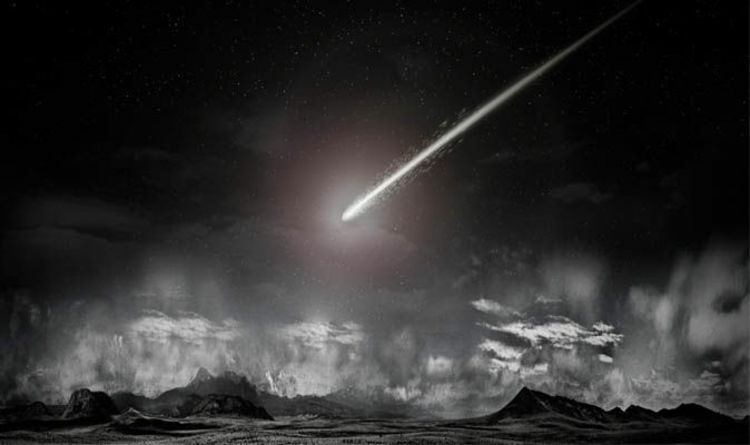 READ MORE: Skull Asteroid TB145: Will DEATH COMET pass the Earth this Halloween? But if the Moon was not here to hinder your experience, NASA suggests you find a quiet, dark spot devoid of light sources. NASA said: “Come prepared with a sleeping bag, blanket or lawn chair. “Lie flat on your back with your feet facing southeast if you are in the Northern Hemisphere or northeast if you are in the Southern Hemisphere, and look up, taking in as much of the sky as possible. “In less than 30 minutes in the dark, your eyes will adapt and you will begin to see meteors. The Orionids will zip across the sky incredibly fast, so forget your telescopes and binoculars and simply trust your eyes. NASA said the meteors will reach speeds of about 148,000 mph (66km per second) once they enter the Earth’s atmosphere. These fast meteors can sometimes produce spectacular fireball eruptions and glowing trails of inside gas and burning meteor debris.